The Cayman Islands are home to a wonderful variety of charities that raise much-needed funds and spread awareness about diseases and community issues. Often run entirely by volunteers, these charities are truly dedicated to their cause and offer many exciting fundraisers and a wealth of knowledge to locals and tourists. The following 3 Cayman charities are so great you'll want to donate to them ASAP. Founded in 1995, the CICS is a non-profit charity fighting the fight against breast cancer in the islands. They offer screening initiatives, education, financial aid, vaccination programmes, counselling and much more to affected islanders and their families, as well as a cancer registry. They regularly host fundraisers that are fun for the whole family, and you can visit their website here. Meals on Wheels is a well-known island charity combating hunger, mainly in Cayman seniors. Hot, healthy meals are delivered by volunteers to residents in need in Bodden Town, George Town and the East End. Run entirely on donations and fundraising, Meals on Wheels needs your help to continue operating. They are able to provide meals that suit special dietary requirements as well. Cayman's Humane Society is a friend to all island animals in need of shelter, food and love. They provide the above, alongside any necessary veterinary care, to homeless dogs and cats before re-homing them with loving families. Events, clinics, fundraisers and meetings are held to advocate for animal welfare and they also run a foster programme to rehabilitate and prepare pets for their forever homes. Visit the Humane Society's thrift shop today! Meals on Wheels, the Humane Society and the Cancer Society are only 3 of the many charities active in the Cayman Islands today. Often volunteer-run and subsisting on personal and corporate donations, these organizations truly need your help to succeed in spreading the word and reducing disease, hunger, animal abuse and much more. If you don't see your cause here, our guide to Cayman Charities offers a more comprehensive look. Tuesday, 11th March 2014, 07:05pm. 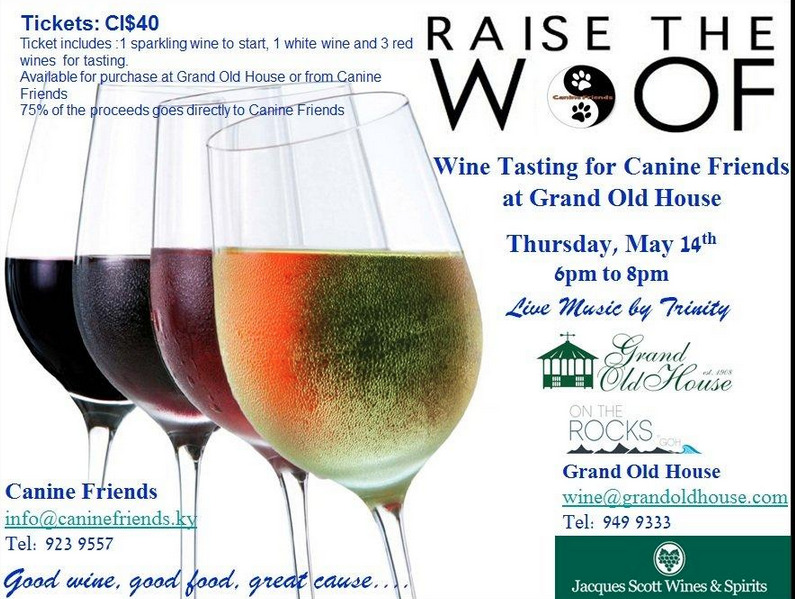 Raise the Woof in Cayman This Thursday! Cayman, You Have 10 Days to Act! Support education for children in the islands and worldwide!